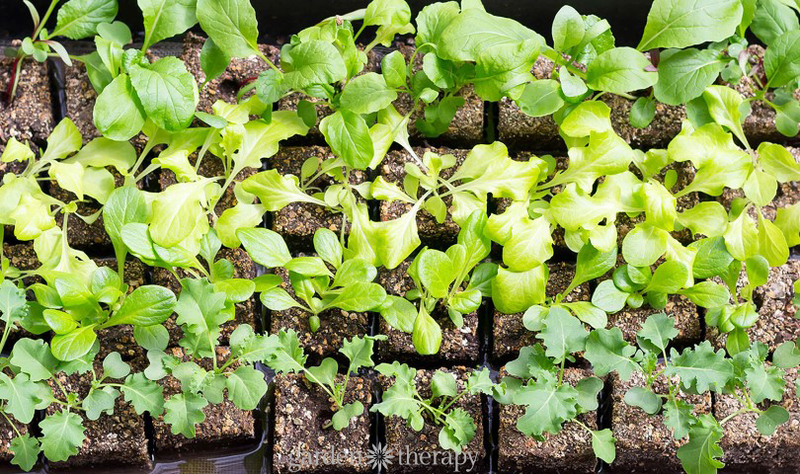 Starting plants from seeds is a fantastic way to save money on gardening while opening up a wide array of crop varietal options that are unavailable to purchase as seedlings. Smart gardeners know that seed starting must be done with care to produce robust seedlings that are resistant to pests and transplant shock. You can find a number of different DIY and store-bought container ideas for seed starting here and here. This method, however, requires no container at all! It’s an efficient and sustainable way to start seeds economically and successfully at home. 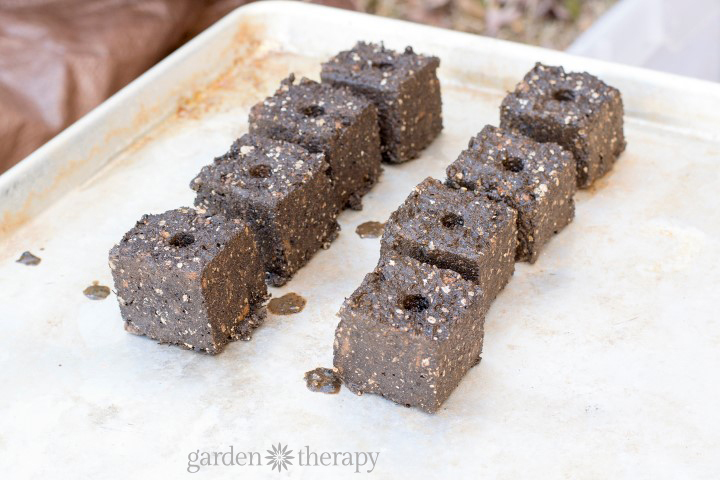 Soil blocks are just what they sound like: compressed cubes of seed starting soil. 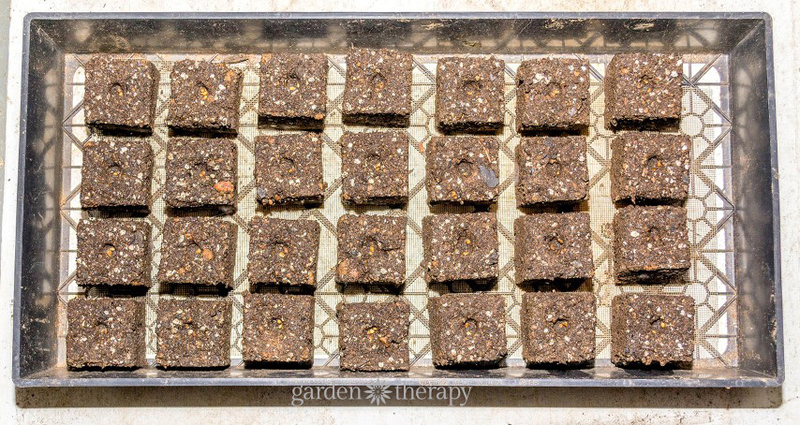 The special blocking mix, when compressed, requires no pot because it holds its shape while the seed germinates and grows into a plantable size. 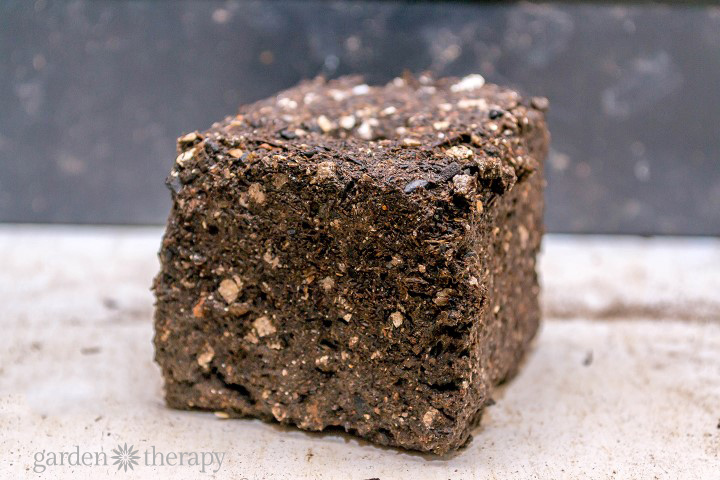 The soil block is held together by the internal friction of the interlocking organic fibers and the natural soil “glues” added to the mix by compost and garden soil. 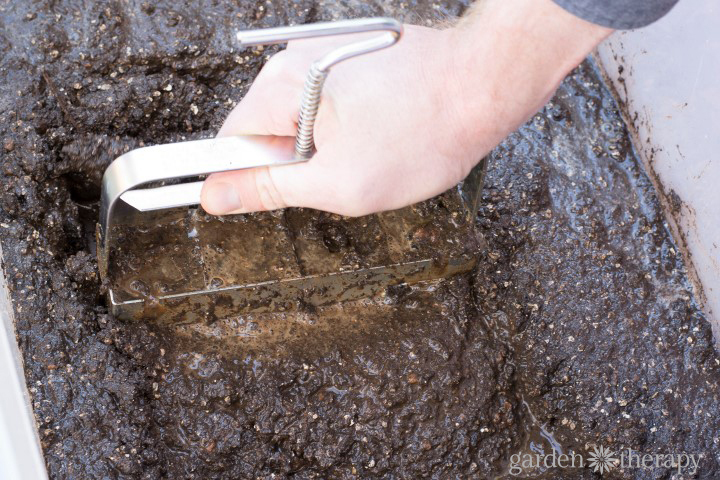 Soil blocking mix may be purchased ready-made, or you can make it yourself with ingredients that most gardeners will have readily available. 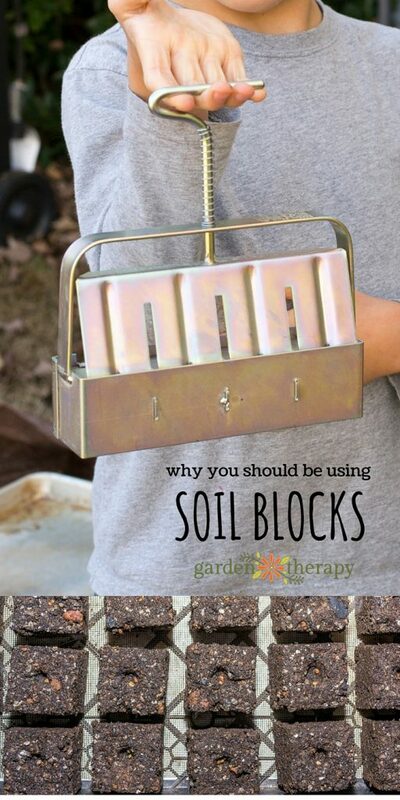 Why Soil Blocks vs Other Methods? To make blocking mix, add these ingredients in the order listed, mixing thoroughly each time an ingredient is added. A wheelbarrow and hoe make a good mixing bowl and spoon. The amounts are listed in “parts.” I use a half gallon-sized container to measure, and this recipe fills a plastic paint bucket. This mix works best if made ahead of time and allowed to stand for several weeks before using. To make blocks, simply mix in enough water to the mix to make an oatmeal-like texture. Do not wet the entire batch at once because a little dry mix may be needed to thicken the slurry after blocking commences. Until the seeds germinate, simply keep them covered to maintain high humidity. Once germination begins in earnest, offer plenty of light and remove the cover. Water when the surface of the blocks is dry but before it feels crusty, either by misting regularly or by flooding the tray and draining. To flood the tray, simply pour water onto tray up to the rim. Let the blocks absorb the water for a few minutes (the blocks will turn darker in color). Then, carefully pour off any excess water. 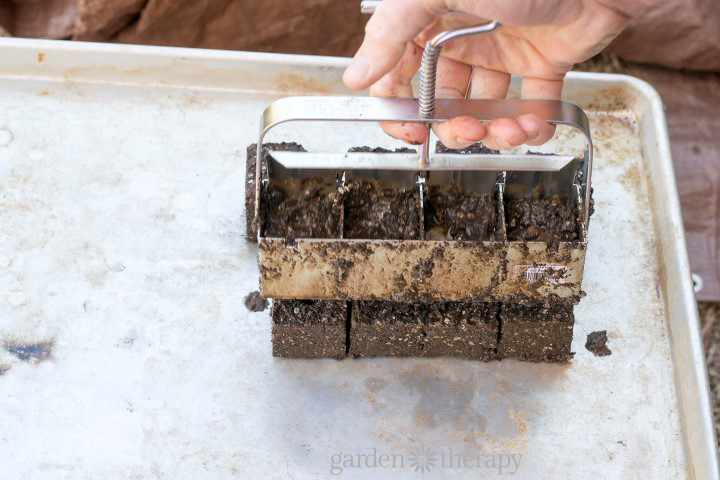 Keep the soil blocks moist but not soggy. Once your seedlings are ready to plant, remember to harden them off at least two weeks before planting outdoors. 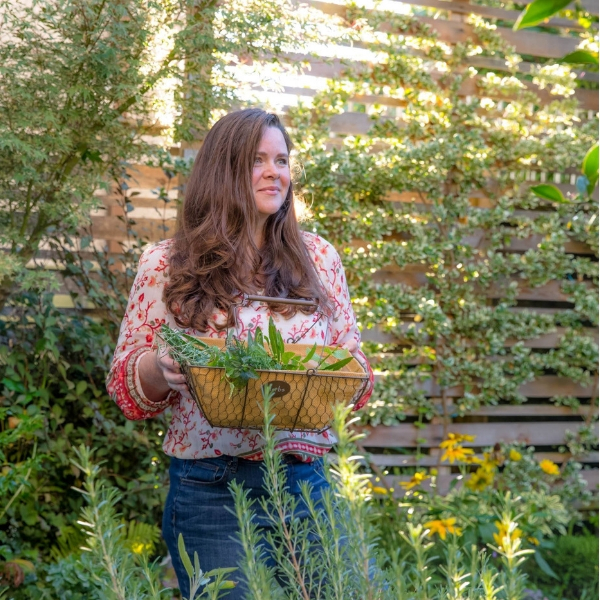 Plant your garden with stronger plants this year, and send less waste to the recycler or dump. 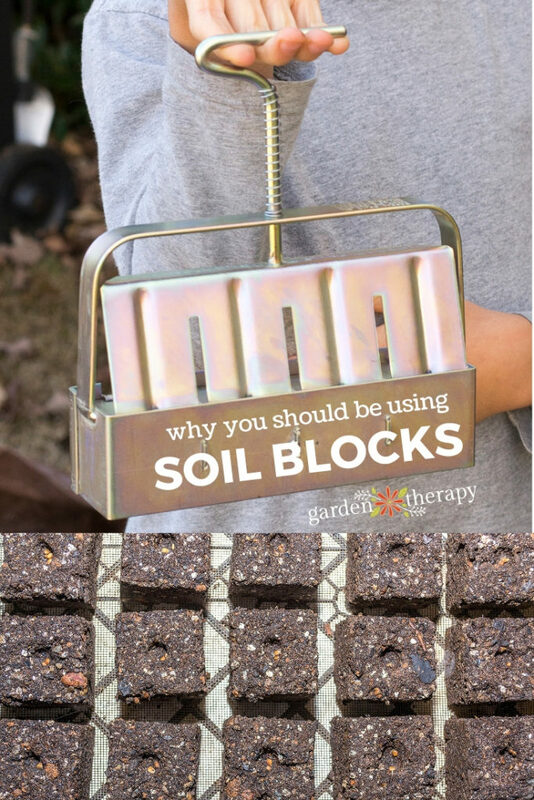 Plant in soil blocks and enjoy your sustainable gardening success! 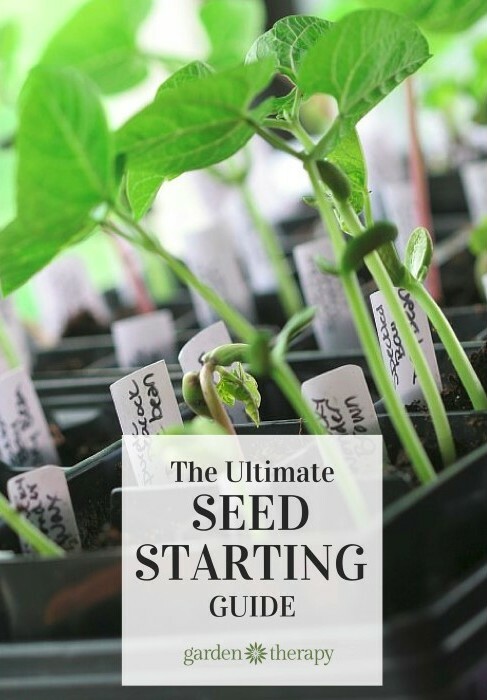 Read more about seed starting in the Ultimate Seed Starting Series! 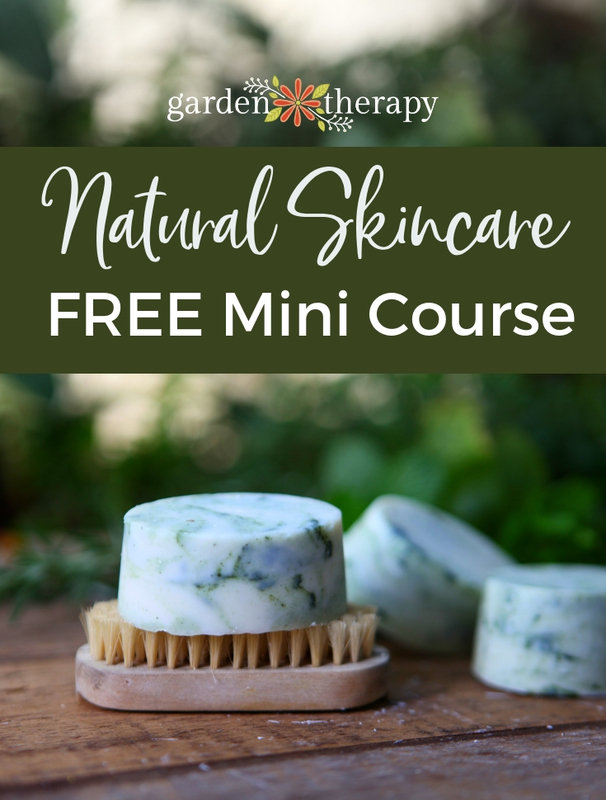 I switched to soil blocks last year and I’ll never look back. I found them to be a far superior way to start seeds and well worth a little extra effort.